If you ever take your car to the track or drag strip, you have likely considered buying race tires that are made for competition. A tire that can help lower lap times, and be used on the street at the same time seems like a great option for anyone that does not have the luxury of a purpose-built race car that is trailered to and from the track. For hard-core racers, DOT (Department of Transportation) racing tires are the answer. There are plenty of race tires that have the DOT “label”, however, you should proceed with caution before using them on public streets. For the rest of us occasional weekend race warriors, ultra-high performance street tires are the better option. Many sanctioned amateur and professional events require a DOT “labeled” race tire. This could give you the idea that the tire can also be operated safely and legally on public roads. The reality is that most race tires can meet the Department of Transportation requirements for marking and performance, but they are still not intended for highway use. It is unsafe to operate any racing tires on public roads, especially R-compound slick tires. A good example of a DOT labelled tire not intended for highway use is the Nitto NT05R tire. It has the DOT label, and is street legal, but it just meets the requirements for the street when new. After even a few launches or drifts, this excellent competition drag race tire will be too worn for safe operation on a public road. Most people think of ultra-high performance tires as the typical replacement tire for any vehicle driven on the road. The tire that came equipped on vehicles like Porsche, Ferrari, and sporty models of BMW and Mercedes cars are usually ultra-high performance tires. These are tires that are used primarily on high horsepower and high-performance vehicles and intended for use on the street. Some ultra-high performance tires are engineered to deliver near r-compound levels of grip in dry conditions. For this reason, many weekend racers use them on the track, drifting or even on the drag strip. While fast in dry conditions, these types of tires are designed for safety in variable weather conditions. The internal construction of ultra-high performance tires takes into consideration the reaction time and skills of the average driver, and is engineered to provide more progressive break-away in hard cornering, and a more stable feel at high speeds. By contrast, R-compound race tires and drag tires are very stiff and have poor handling for the average driver. They also wear out much faster than ultra-high performance street tires in almost any driving situation or road surface. 1. Michelin Pilot Super Sport tires: Probably the most expensive UHP tire out there, but considered the industry standard by auto-crossers and car clubs across the country. These tires have close to r-compound level of grip on dry tracks, but with excellent handling and tread-life in normal driving conditions. Available in a wide range of sizes, too. 2. 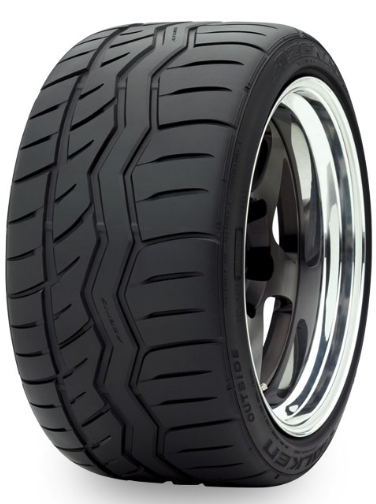 Falken Azenis RT615-K tires: This tire is well likely by race enthusiasts because of its price point compared to the Michelin and other UHP tires with comparable grip. Even racers with purpose-built race cars will use this as a wet track tire because it efficiently channels water out from under the tread. 3. 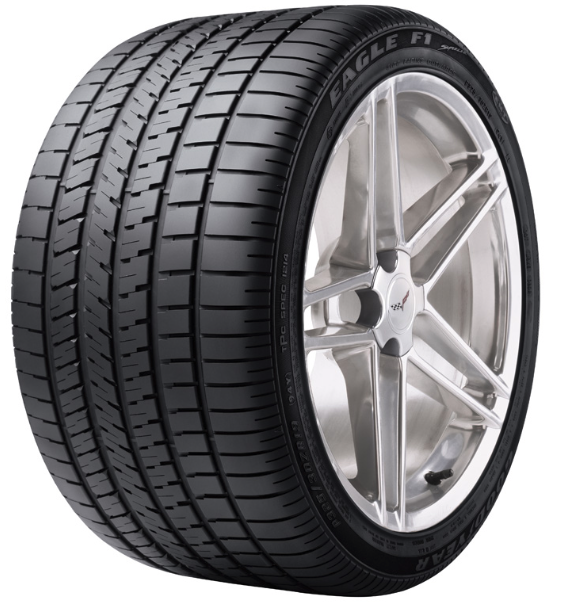 Goodyear Eagle F1 Supercar tire : Another well known and trusted tire by car club members and race enthusiasts thanks to its extra sticky rubber and extra crisp responsiveness to steering input. There are also Goodyear Eagle F1 Supercar tires in ROF (run on flat) sizes, that work equally well on the track or street. Check out Tires-easy.com for a huge selection of UHP tires and DOT approved race tires at great prices.